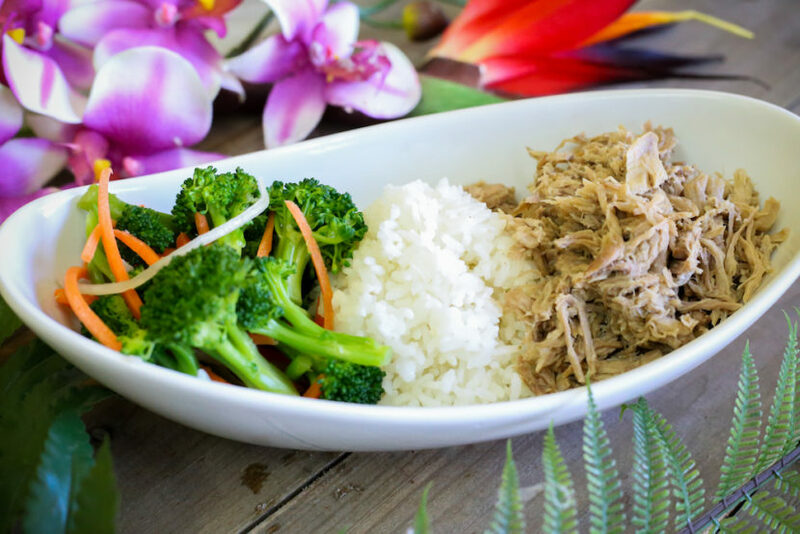 A mouthwatering combination of steaming hot rice, macaroni salad, and your choice of two servings of meat: Kalua Pork, Teriyaki Chicken, or Teriyaki Beef (+$1 Extra) Can’t get enough of our original teriyaki sauce? Request more on the house! 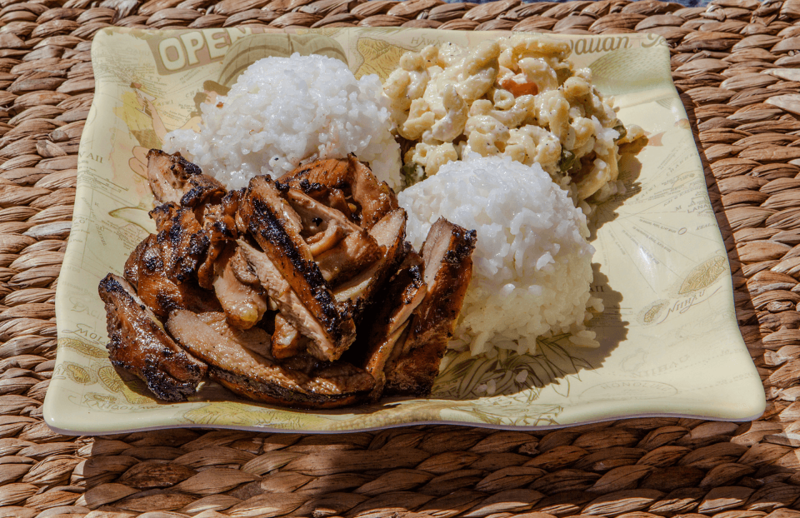 A mouthwatering combination of steaming hot rice, macaroni salad, and your choice of meat: Kalua Pork, Teriyaki Chicken, or Teriyaki Beef (+$1 Extra) Can’t get enough of our original teriyaki sauce? Request more on the house! 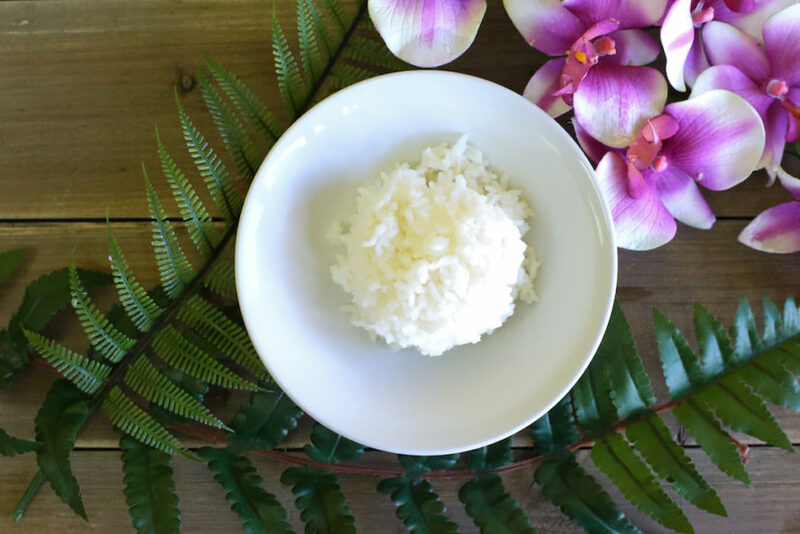 Fill up your plate with an extra serving of white rice! 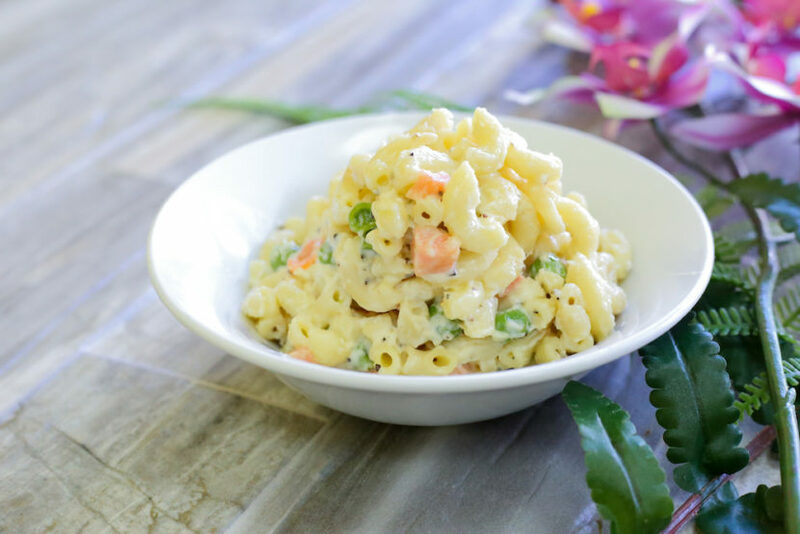 Our creamy macaroni salad is a Hawaiian classic usually served at luaus. Aloha! 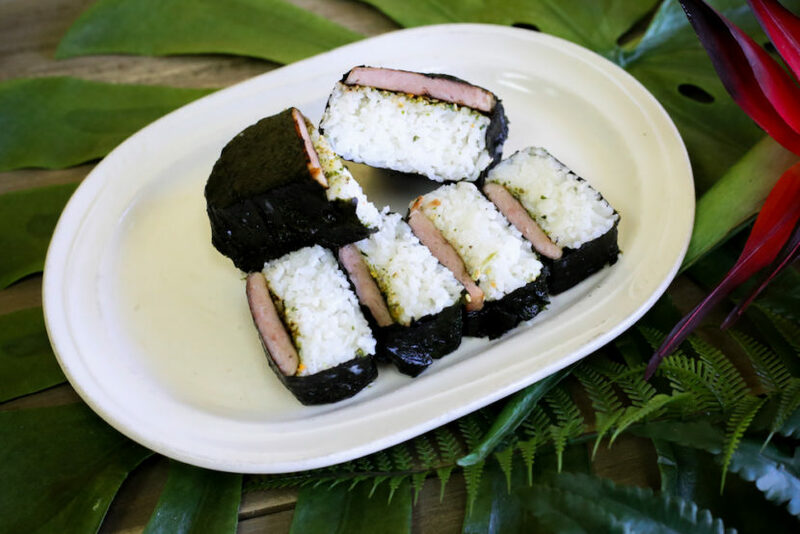 This island favorite is a pairing of sliced spam hand crafted onto a bed of rice and wrapped with dried seaweed. 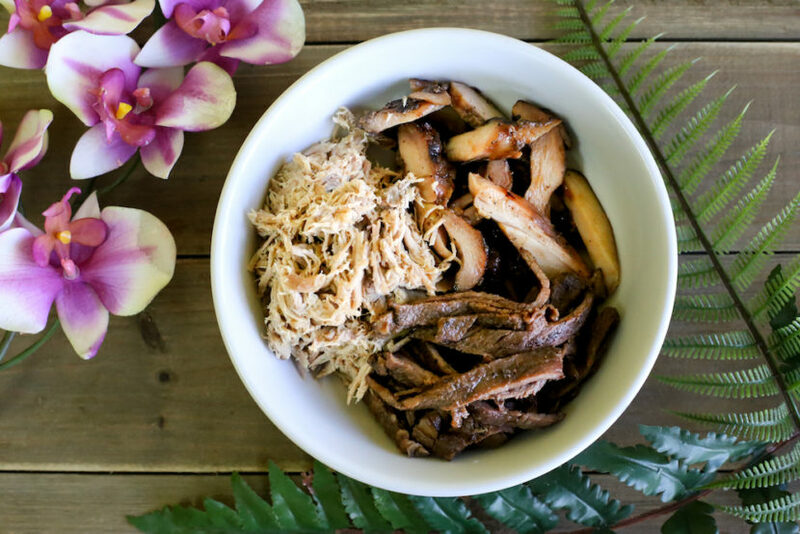 Musubi is a local grind and best enjoyed with friends and family. Enjoy 2 hand made musubis for only $5! 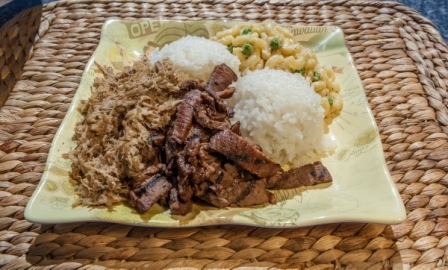 Poi is a staple in Hawaii. 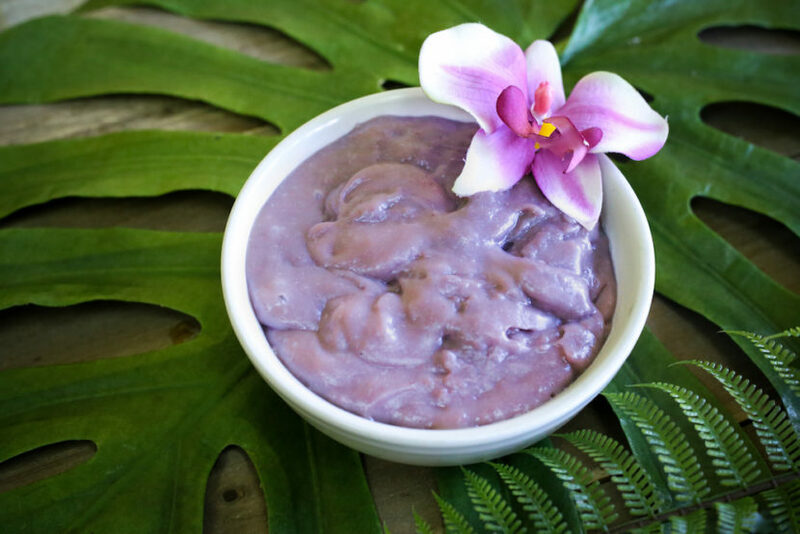 It is made from the beautiful taro plant found in Hawaii’s lush farmlands. 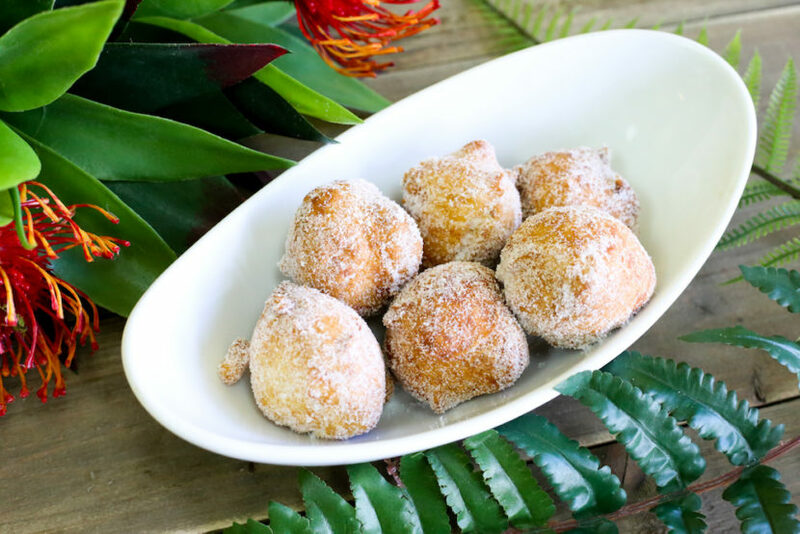 As a staple food in Hawaiian culture you can bring home the taste of the islands when you grab a bag of poi to enjoy with your next meal. A pink guava cake fit for any occasion. 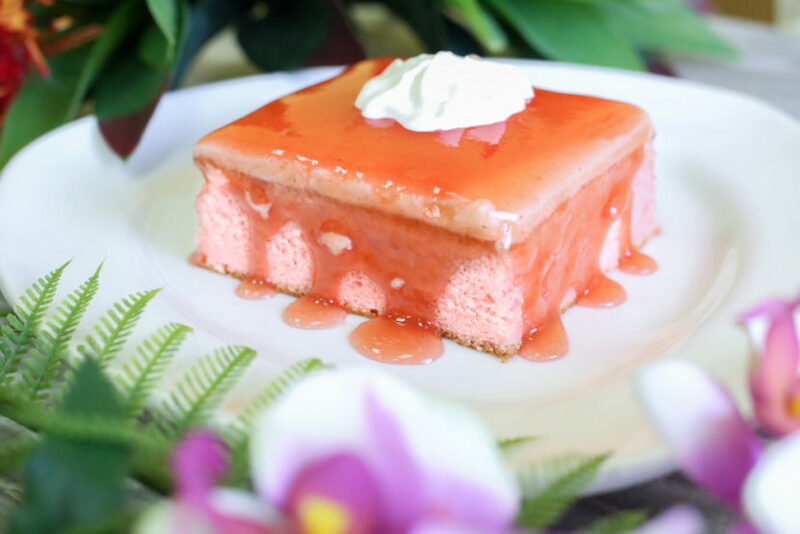 If you haven’t tried our Hawaiian guava cake you will quickly fall in love with the sweet and fresh flavor of our favorite dessert.